Oyster Radio from Apalachicola already posted one of the photos my guest blogger Kristin sent me earlier today. Direct from St. George Island, Florida. This is what she saw as she looked out the window. There was lightning and strong winds. I asked her if she could hear anything from the waterspout. I had to go and look up waterspout as I’ve never seen one. The National Ocean Service explains a waterspout To give you a better perspective, you can see their house in the picture (this is the one Oyster Radio already showed) You might remember the Century Plant from last year. Those pictures are very cool. I wonder if it got close to land. Beautiful and eerie. Very dramatic. 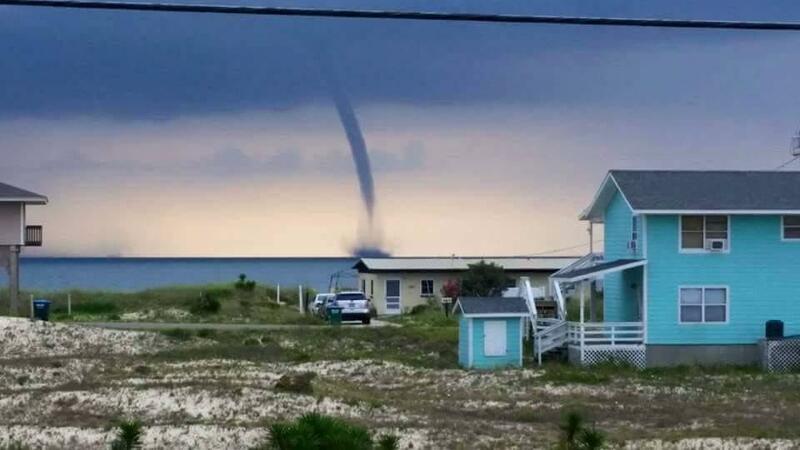 We live 5 miles north of Destin and folks have recently photographed 1 or 2 waterspouts off our shores. To my knowledge- none have made landfall this summer. Amazing shot! It’s so cool that nature can be awesome and terrifying at the same time! Whoa! 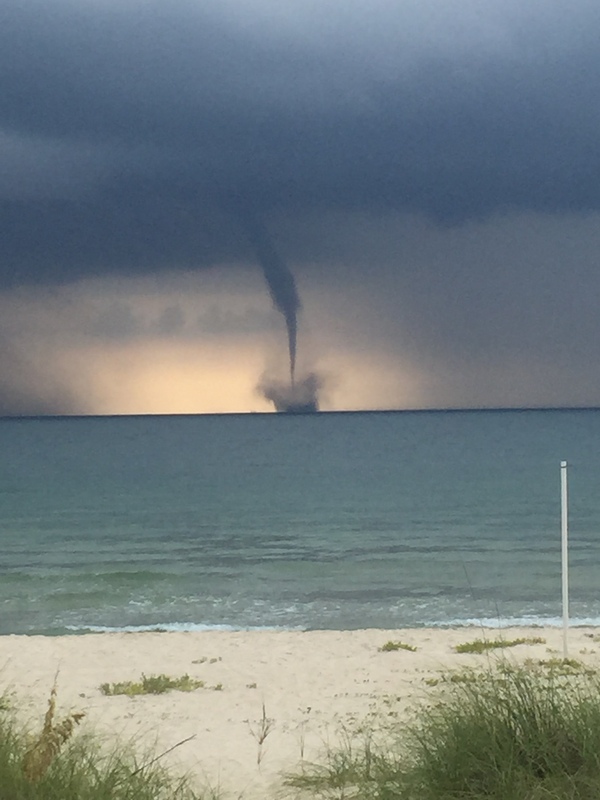 Is a waterspout a tornado that touches down in water? Can they ever move to land? My sweetie, our puppy, and I spent an hour (midnight to 1 am) in the basement utility room waiting out a tornado that touched down in a city not far from us. Fortunately by the time the storm made it to our house, it had faded to a mess of thunder and lightening (and rain), but nothing more. I hope your Florida fronds are okay!